Just about everyone has had a junker vehicle at some point in time. Usually, they have high mileage, possibly with a lot of rust, and a major repair issue that costs too much to make fixing the vehicle worth the investment. When that happens and if you're considering taking your old vehicle to a salvage junkyard in Chase, MI, consider why that yard might view your junk as gold. One main reason is that certain parts could be valuable within the recycling process. Brakes usually are able to be reused, which means a salvage yard in Chase, MI, can resell them or sell one of their components (brake pads and drums, calipers, rotors and fluid lines.) 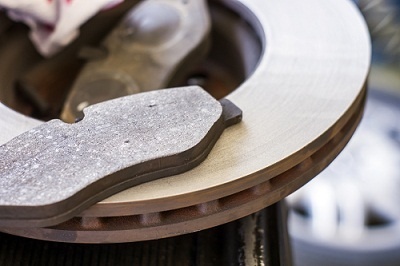 Brakes and brake components sell because replacement parts and the labor involved in replacing them is significant. So if a vehicle owner can save a few bucks getting used parts or having their mechanic install used parts, it's worth it. Like brakes, it's rare that tires have run their course when a vehicle is to be junked. In fact, some estimates put the number of tires that can be reused from a vehicle that has stopped being functional at about 80 percent. Unused spare tires can also be present on a junked vehicle. Some salvage yards will buy used specialty tires, like those that are used on an ATV. But it's best to contact them ahead of time to see if a specific yard will buy specialty tires or not. The interior might show its age, but it is a good bet there are some parts that do not or are rare - meaning specialty parts that could be valuable to a salvage yard. Interior parts that are popular include branded steering wheels, replacement electronics, and certain types of seats. For someone looking for a specific part, the best salvage yard in Chase, MI, can usually offer them the part at a fraction of the cost of buying them new, if they have them available. Not everyone’s first instinct when something needs to be replaced on their vehicle is to run to an auto parts store or a mechanic and pay for a new part. Some people like to look through salvage yards and their stock to see if they can get a much less expensive, used part. Parts that are popular include mirrors, fenders, doors, wheels and some common engine parts. Shopping for stuff for your vehicle at a salvage junkyard in Chase, MI, might not be everyone’s first choice. But if you are looking for inexpensive parts, with a little luck, you could be in business. If you have a junker vehicle, a quality salvage yard will give you a fair market price for your car or truck. For people looking for a bargain, inquiring about a specific used part you need can sometimes yield tremendous savings. But again, ask before showing up at any yard to see if they even have something you are looking for.